Do you have a favorite book you read every spring? Or maybe you have an entire shelf full of great read alouds and non-fiction books! 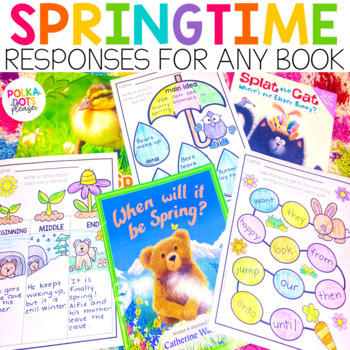 These response sheets are perfect for any spring book! I love to use them at centers with mutliple books where my firsties choose a book, read it, and then respond. 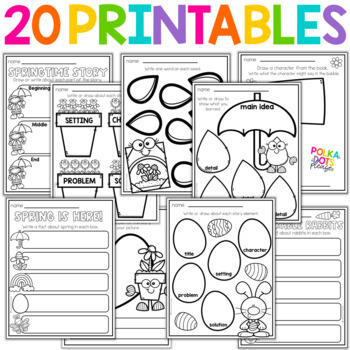 This set includes 12 different choices, including character dialogue with a speech bubble, character feelings with a thought bubble, story elements, spring fact list, spring weather fact list, spring animals fact list, growing things fact list, spring senses, sight word search, and 3 draw and write response pages. 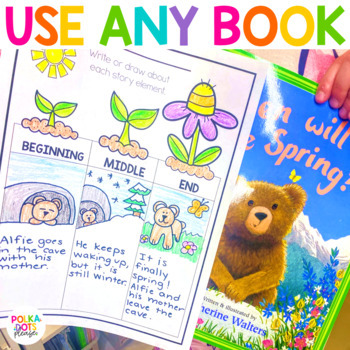 These pages are also perfect for whole group activities, morning work, daily five activities, guided reading, and even homework!